Muller: "We have to protect ourselves." With its future again in jeopardy, Saab Automobile is close to securing short-term financing that would allow it to stay alive as it waits for money from Chinese investors, says a source close to the negotiations. According to the source, company executives are "very optimistic" about raising more funds this week. Saab is in discussions with several parties to get short- and medium-term funding to restart production, the source said late last week. While it awaits a financial lifeline, Saab Chairman and CEO Victor Muller told Automotive News Europe sister publication Automotive News that Saab is considering reorganization to protect itself from creditors. "We will not rule out anything," Muller said. "We are focused on a solution, and if the collection agency moves forward we have to protect ourselves." Saab, which is owned by Dutch group Swedish Automobile NV, was rescued from bankruptcy last year by Swedish Automobile as former owner General Motors Co. prepared to shut it down. It has struggled to raise funds to restart production, pay wages and settle suppliers' bills. Short-term financing is critical to Saab's survival. Muller has signed investment deals with Chinese car distributor Pang Da Automobile Trade Co. and carmaker Zhejiang Youngman Lotus Automobile Co. But the approval process with Saab's Chinese investors will not be complete until mid-October. Saab officials are working on other options to secure bridge funding that would allow the company to restart production. If the company gets a court creditor protection order, it would place the company in a process of corporate restructuring. Under that status, which Saab entered in 2009 after GM made clear its intention to cease funding Saab, the company gets protection from creditors while an administrator and management seek to restructure it. The Saab production line in Trollhattan, Sweden, has been shut almost continuously since April after suppliers with unpaid bills stopped providing parts. On Aug. 17, Sweden's Debt Enforcement Agency started collection proceedings against Saab after it failed to meet an Aug. 16 deadline to pay two suppliers. Swedish authorities say more than 100 debt claims have been filed against Saab with the collection agency. Eight claims have asked for the regulator's involvement. The collection process usually takes one to three months, and can be halted if Saab pays its debts, a debt-agency spokesman said. At the end of the procedure, the Swedish Tax Authority can request that Saab be put into bankruptcy in the absence of payments. Lars Holmqvist, CEO of CLEPA, the Belgium-based European association of auto suppliers, said rescuing Saab will be a "Herculean task." Holmqvist said Saab's suppliers are owed about 100 million euros, or about $144.1 million. 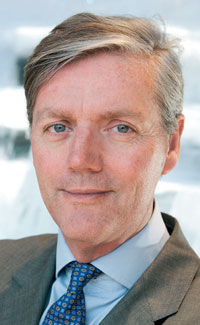 Holmqvist said the Swedish bankruptcy process, known as "reconstruction," imposes a stiff burden of proof on a company applying for court protection. The company must prove to the judge that its plan to rebuild itself stands a good chance of succeeding. "You have to prove you have a fair chance of rebuilding," Holmqvist said. "It takes a lot of money." Saab sold 31,696 cars in 2010, according to its media site.